As Chief Technology Officer, Panneer Ramalingam is responsible for Evolution Digital’s focus on pioneering the leading IP video products and solutions. Previously VP of Video Engineering, Panneer brings more than 25 years of video engineering and systems for Evolution Digital. Ramalingam oversees the engineer, development and support teams across Evolution Digital’s global offices. 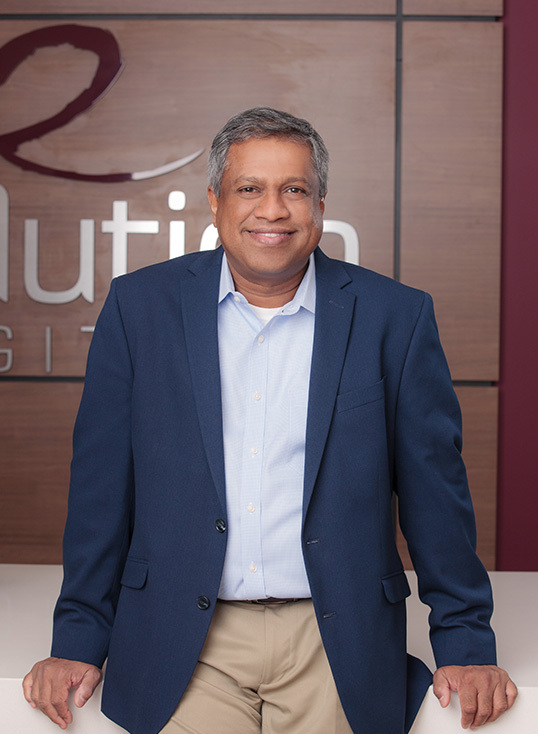 Prior to joining Evolution Digital, Ramalingam was the Founder and CTO of I-Velozity, acquired by Evolution Digital in 2015, a leading provider of VOD and IP video content for the cable television and telco marketplace. i-Velozity has now evolved into eVUE-TV, Evolution Digital’s IP video platform that enables the delivery of managed IP linear, Video on Demand, network DVR and Pay-Per-View to IP-capable set-top boxes and connected streaming devices. Earlier in his career, Ramalingam worked for Accenture in Washington DC as a senior systems design engineer. In this role, he was responsible for building strategies with C level executives, implementing systems and processes in alignment with corporate strategies. Ramalingam managed engineering teams ranging from 5 to 120 and his clients included major telcos and cable operators including Verizon, AT&T, Comcast and others. Ramalingam received his Bachelor of Engineering degree in Computer Science from Anna University, Chennai, India and his Master’s degree in Computer Science from the University of Miami, FL.